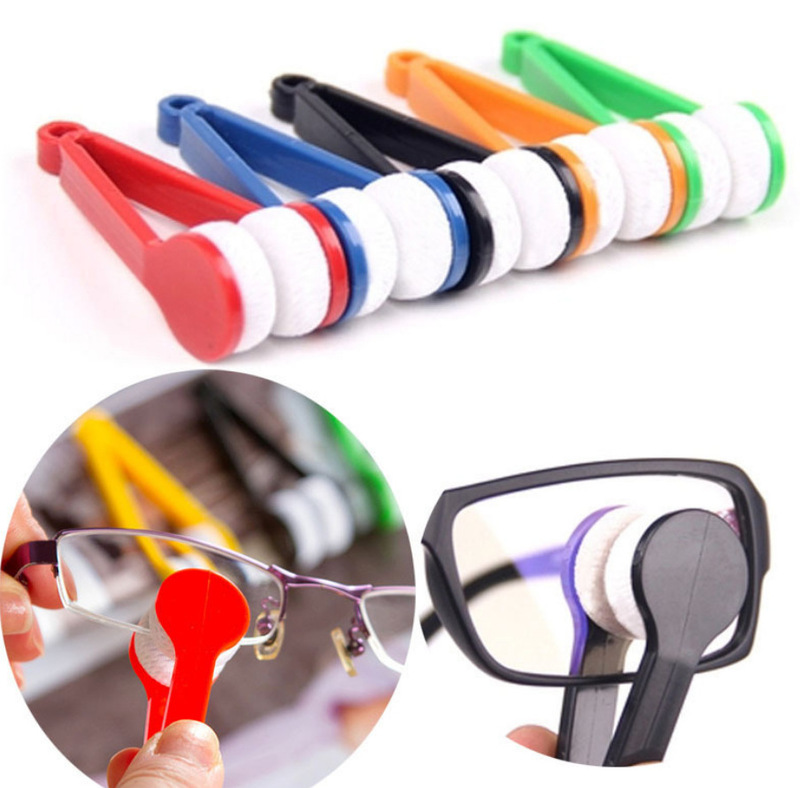 Easy to use and can be carried wherever you go.You can at any time clean your glasses when you go out or not be convenient to carry the glasses box. It's made of plastic + microfiber. A hole at the joining end of the two arms can be used to attach a key ring, chain etc. Package: 1 pc/opp bag, 1200 pcs/ctn, 26 lbs/ctn.